Spoleto USA, in Charleston, South Carolina, is internationally recognized as America’s premier performing arts festival. It is a 17-day extravaganza of chamber, symphonic, choral and jazz music; opera, dance, and theater. More than 150 performances by renowned artists, as well as emerging performers, take place at venues, indoors and out, all over the city. It began in 1977 as a counterpart to the Festival dei Due Mondi in Spoleto, Italy – the brainchild of Pulitzer-Prize winning composer Gian Carlo Menotti. And it has steadily grown in scope and prestige since then, today attracting fans from around the world. The dates for this year’s Spoleto USA is May 23 through June 8.. For complete information on shows, schedules, tickets, and venues, go to www.spoletousa.org. It’s only fitting that an event of high culture should find its way to the “low country” and Charleston. Low country is where fresh water and ocean water merge in beautiful estuaries and marshes. It’s an area of the South Carolina coast where great plantations thrived and aristocratic gentlemen and genteel ladies held sway. Charleston is a grand ol’ southern lady as genteel as they come. She has withstood wars, fires, earthquakes, hurricanes, and hard economic times with her fan still fluttering. Her historic downtown district still boasts beautiful pre-revolutionary and antebellum homes. Her neighborhoods and parks are as graceful as ever, adorned with majestic oak trees draped in Spanish moss, and azalea bushes that burst into spectacular colors in the spring. The marshes of the Low Country teem with shrimp, crab, oysters, and a wide variety of fish. Rice grows easily here. Seafood and rice dishes, influenced by Caribbean and African cuisine, are integral to traditional Low Country cooking. Many of Charleston’s fine restaurants feature the favorites, such as She Crab Soup, Hoppin’ John, Shrimp and Grits, Frogmore Stew (no frogs involved), and upteen variations of rice pilaf. Charleston won the CONDE NAST TRAVELER 2013 Readers’ Choice Award for “Top City in the U.S.” And it won the award for the two preceding years as well. The Readers’ Choice Award is based on atmosphere and ambiance, culture and sites, friendliness and restaurants. Charleston has also received accolades from TRAVEL & LEISURE and SOUTHERN LIVING magazines. Not far from downtown, on several barrier islands, ocean side resorts give the grand ol’ lady a leisurely edge with luxurious places to relax and enjoy the palm trees and sea gulls, or play golf on manicured fairways and ride horses on the beach. Charleston. It is joined to the mainland by a bridge spanning the Intracoastal Waterway. 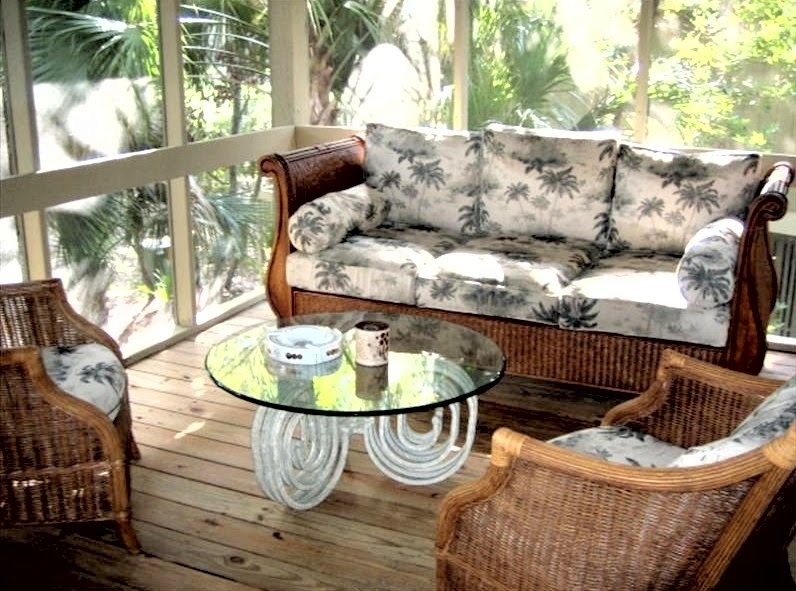 Isle of Palms vacation-home owners and year-round residents offer some fabulous properties for exchange. 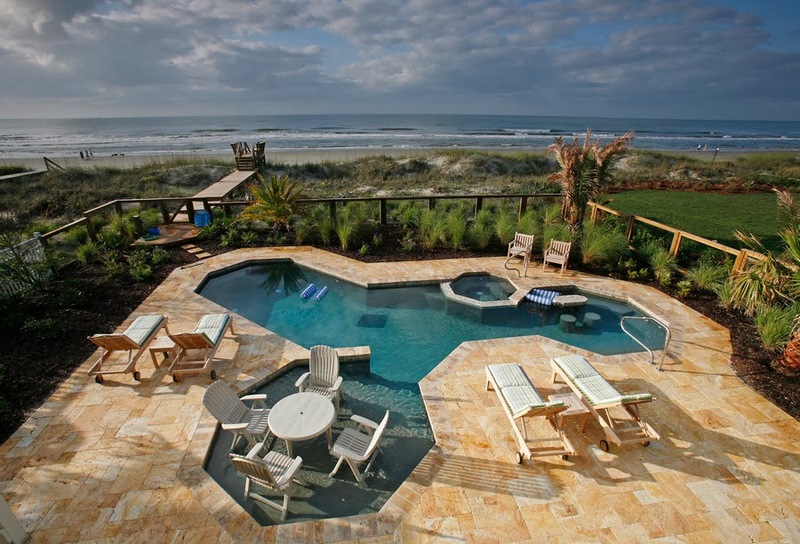 Property #0701: Isle of Palms -- Six bedroom oceanfront home with spectacular private heated pool. 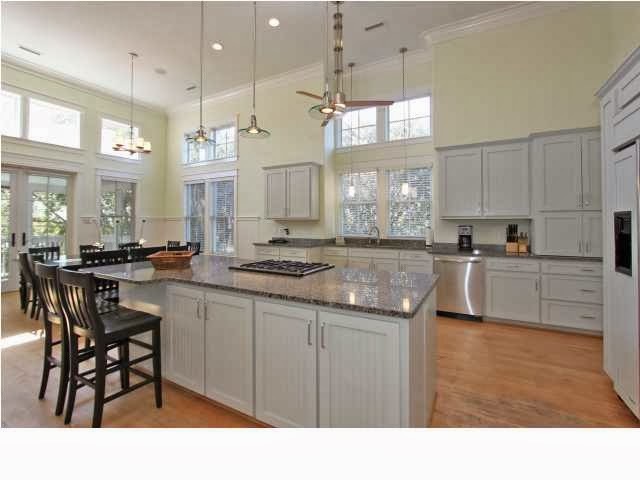 Property #0626: Isle of Palms -- Five bedroom house with two master suites, elevator, and salt water pool. 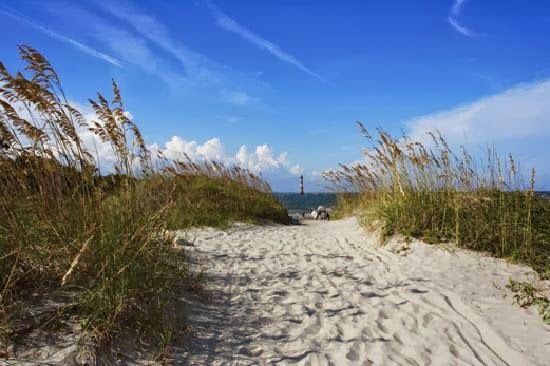 Another choice spot with easy access to Charleston (24 miles away) is Seabrook Island, a private oceanfront community made for fishing, sunning on the beach, and challenging golf. Property #0816: Seabrook Island -- Three bedroom villa with a view of hole #2 on a championship golf course. For more information on these Charleston-area beach homes, click the property number link. 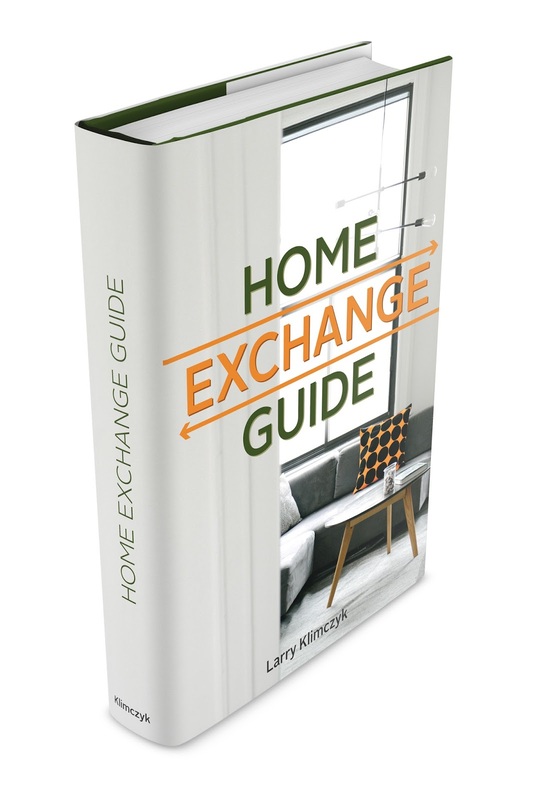 If you are not a member of the International Vacation Home Exchange and find the idea intriguing, visit us at www.ivhe.com and check out WHO WE ARE, ABOUT US, and HOW IT WORKS. As they say in Charleston, "Ya'll come back."